Copple, Rockey, McKeever & Schlecht P.C., L.L.O. David E. Copple’s litigation practice is regional in scope. He has litigated cases in or represented clients from Arizona, California, Colorado, Illinois, Indiana, Iowa, Kansas, Massachusetts, Minnesota, Missouri, Nebraska, South Dakota, Tennessee, Texas, Wisconsin and Wyoming. Mr. Copple’s comprehensive practice emphasizes sophisticated litigation for plaintiff and defendant in cases involving personal injury, products liability, corporate-commercial, banking, creditor bankruptcy, securities, wrongful death, and real estate investment trusts. Mr. Copple has successfully tried felony criminal cases, a felony manslaughter case and a first degree murder case. 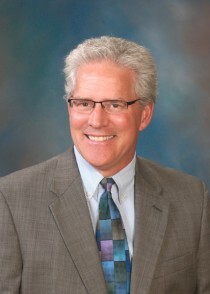 Mr. Copple’s appellate work has included cases of first impression, including: that a “farmer” is a “merchant” for purposes of the Nebraska Uniform Commercial Code; that a “bank employee” is not a “professional” for purposes of professional malpractice statute of limitations; that a named driver exclusion will not be applied in a manner that will deny an insured party uninsured or underinsured motorist coverage when the subject of the exclusion was not responsible for the injury and is not seeking coverage; that a secured creditor can qualify as a good faith purchaser for value and receive priority under Nebraska Uniform Commercial Code, Article IX over an unpaid seller; and that state common law theories of negligence and strict liability are preempted by The Federal Insecticide, Fungicide and Rodenticide Act involving a “non-applicator” injured by toxic chemical exposure.